You are here: Home / How We Ride! 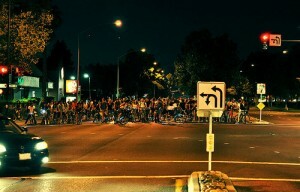 With such a large group, we do not want to tie up traffic for hours. Let cars pass in the left lane. 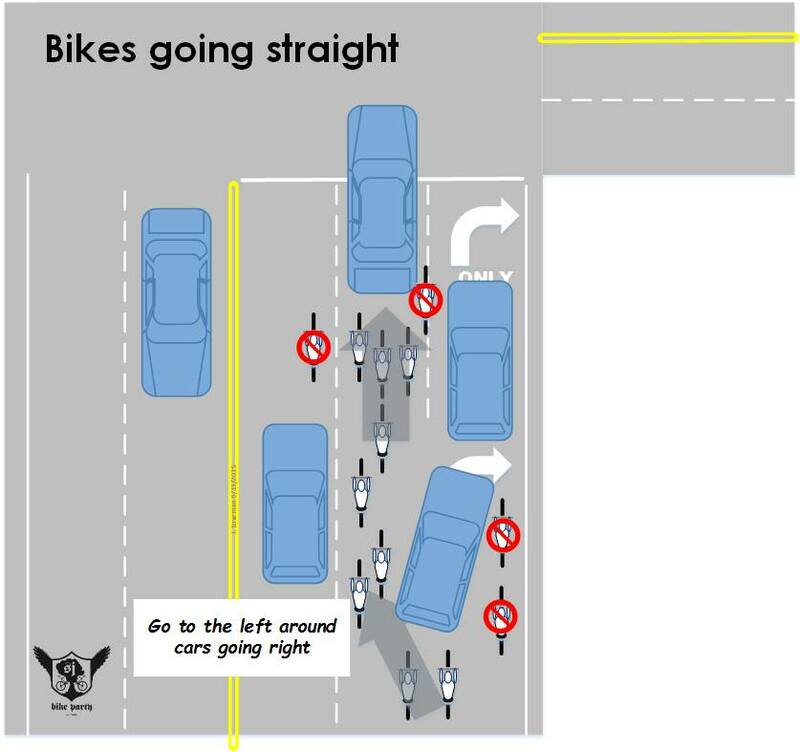 In case you weren’t aware, the sidewalk is one of the most dangerous places to ride your bicycle and riding against traffic is foolish. We don’t want to see you get killed. Please remind your friends who may not realize they are risking their lives to get on the right side of the road. 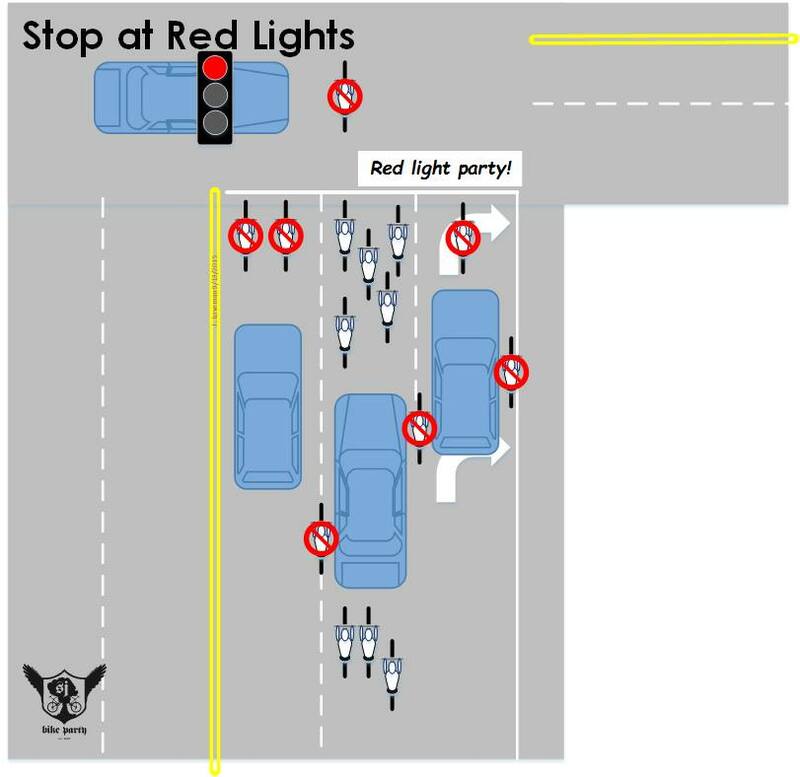 The number one complaint from the community against Bike Party is that we often run red lights. Don’t give the city, angry residents, or anyone a reason to try to shut the ride down. It Avoids Tickets and Avoids Wrecks! We don’t want anyone to get hit by a car or have to pay a $300 ticket for running a red light. Be safe and save your money by stopping. 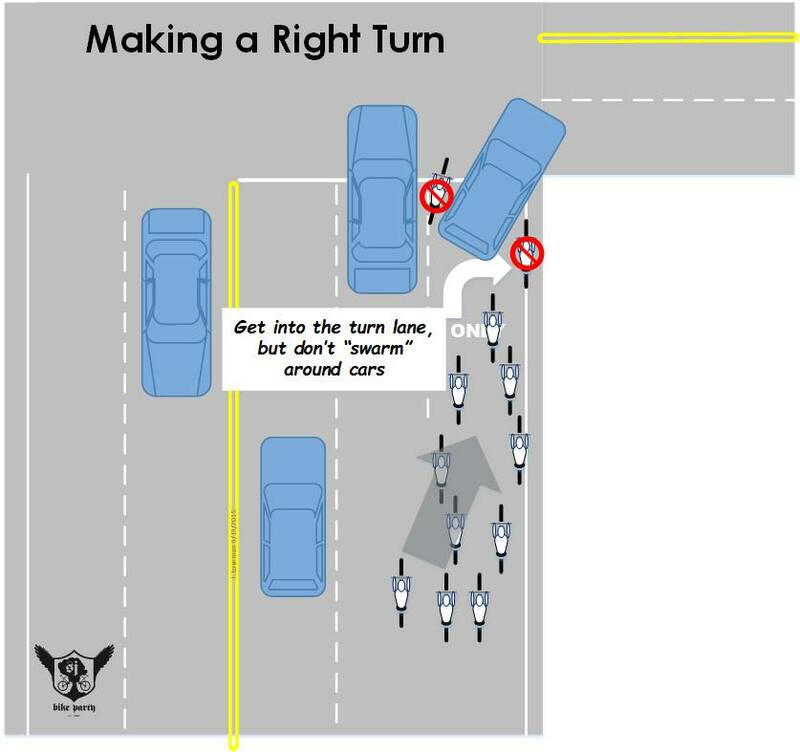 As bicycle riders, we need drivers to respect our rights to share the road. However, in order to get respect, we must also give respect. 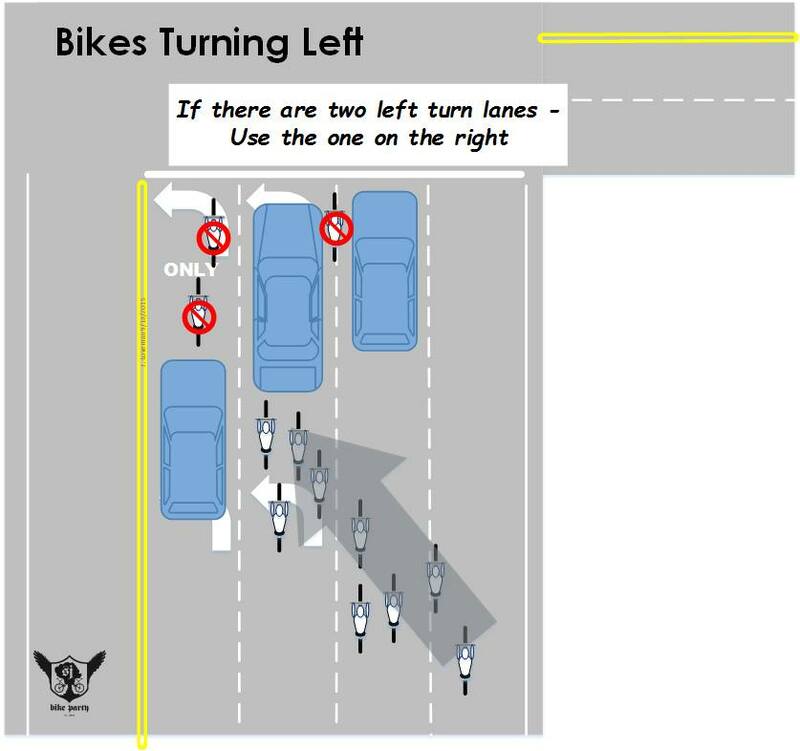 As such a large visible group, we need to show drivers and fellow riders how to share the road by stopping at red lights. See how beautiful stopping can be? It Gives More Time to Party! While stopping at a light, say hello to your neighbors, make a friend, and dance on the street! There is no reason to be in such a rush when it just means more time to party! Of course, if the police are blocking the intersection for us, follow their directions. It is illegal to drink and ride a bicycle. The law applies just like a DUI. 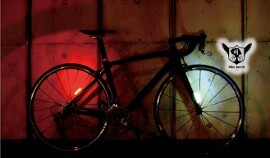 In addition, many riders who are drinking cause bicycle accidents. They harm fellow riders and themselves. Not all parties need alcohol to be fun! Ride sober. Know your limit. While at the ride, make sure you or a friend has a flat kit and basic tools for emergency maintenance. The handful of volunteers that organize the rides cannot be the only ones who enforce the rules. It is impossible. We need EVERYONE to speak up! No one wants to be an authority figure but the only way to keep this ride going and safe is to be vocal about the rules of the road. 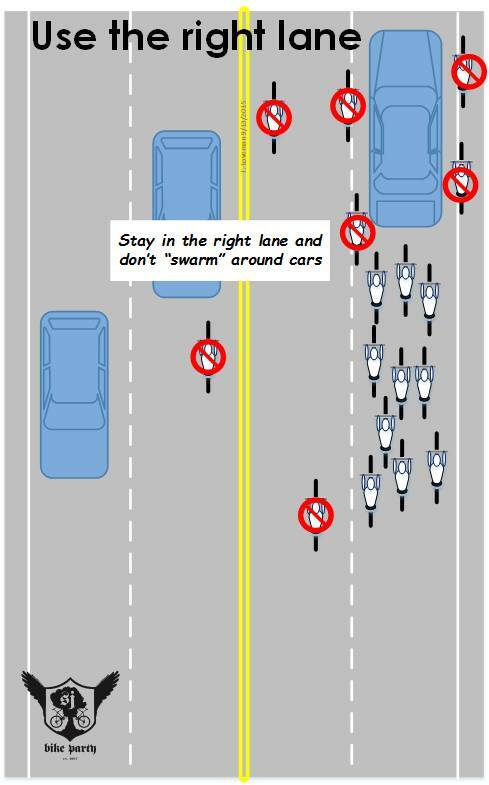 A simple “Stay to the right” is often enough to remind a rider that he or she is slipping. If you see a knucklehead throwing a bottle or littering simply boo that person. It’s called community shaming. When everyone participates, it really works. 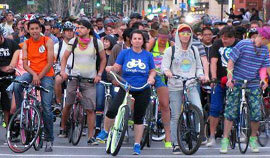 San Jose Bike Party was inspired by the Midnight Ridazz of LA, among many other amazing rides. 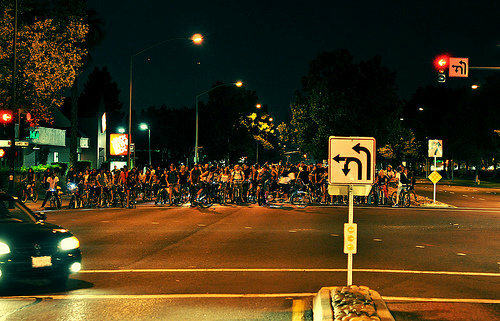 Many of the rules of the road were lifted from the Midnight Ridazz website. Thank you. As a large group we have to talk to each other to stay safe!